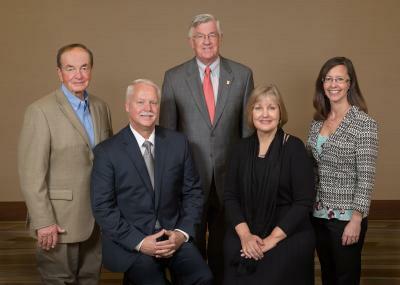 On April 13, 2015 the College of ACES Alumni Association recognized five outstanding alumni as the 2015 Award of Merit winners who have made significant impact in their careers and their communities. Greg is the Owner of GRO Horticultural Enterprises, Inc.
Congratulations to President Emeritus Robert Easter for winning the inagural Above and Beyond Partner Award last week at the NAADA (National Agricultural Alumni and Development Association) National Conference at Texas A&M University. 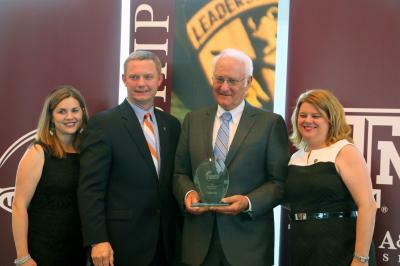 This award honors President Emeritus Easter for giving freely of his time, working outside the realm of his official responsibilities, and furthering the goals of our college's alumni, communications, development and student services programs. His leadership inspires us all! Easter is pictured above (from left) with ACES Director for Communications & Marketing Jennifer Shike, NAADA president Keith Barber, and ACES Director of Alumni Relations Tina Veal. The National Agricultural Alumni and Development Association (NAADA) inducted Lynette Marshall (not pictured) and Tina Veal into the NAADA Mulberry Honor Society at the welcome reception at 2015 NAADA annual conference at Texas A&M University to honor it's inaugural class.! The society was created to honor individuals who have demonstrated a commitment to NAADA and our member institutions and organizations, and to foster their continued involvement in NAADA. All NAADA past presidents and individual award recipients are eligible for induction. We are seeking volunteers for ACES Family Academies on July 9 & 10, 2015 to help coordinate the ACES Family Academies program. We need many volunteers to help assist to make this event successful! We hope you will join us to return to campus and volunteer to engage with alumni and share Illini memories with each other! We will be seeking volunteers to assist with many roles during the 1.5 day program on campus. Assist with check-in and registration on Thursday, July 9 at Bousfield Hall. Greet participants and provide registration materials. introduce the speaker and share evaluations with participants. Assist in parking lot area to help participants load luggage and personal items in vans before they are dropped off at Bousfield Hall. (certified staff only) - U of I staff that are trained to drive University of Illinois turtle top vans can register for this role. Van drivers will drive participants to off-site locations or assist participants that might need handicap accessibility, etc. Volunteers will assist on buses and answer questions as needed. Be sure that correct participants are on the bus for the destination planned. Greeters will meet families arriving from parking area to assist with unloading luggage and personal items from the vans and direct them to registration. Volunteers to assist with participants with getting luggage and personal items to their dorm rooms after check in/registration. Volunteers to assist with morning coffee and hospitality area in Bousfield Hall. Information tables will be available at Bousfield Hall and in the ACES Library as points of contact for volunteers and participants if they should need directions, ask questions, or need emergency assistance, etc. Volunteers to assist with evening program stations for families to participate in. Volunteers will be asked to assist with monitoring the dining hall for participants and assist with directions or questions needed for our program participants. Volunteers to help with events or as needed throughout the day. Volunteers will assist participants with moving out of dorms and assist as needed. 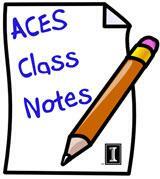 All Volunteers will need to complete the packet of information and sign and mail or fax to the ACES Alumni Association by July 1, 2015. All volunteers must complete the online volunteer training by July 1, 2015 to be allowed to serve as a volunteer. Please visit: https://web.extension.illinois.edu/extensionprotection/ to register and complete the course. 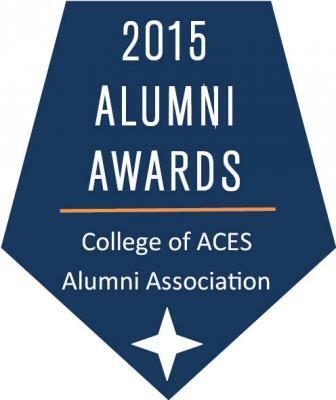 The College of ACES Alumni Association invites you to join us for an ACES in Places event. 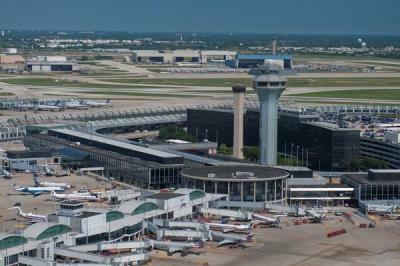 Join us for a Behind the Scenes Tour of the U.S. Customs & Border Patrol at O'Hare International Airport. Hear how the CBP keeps our food, natural resources and economy safe from foreign invasive species and agro-terrorism. The Department of Homeland Security has limited this tour to 40 people and will not allow anyone under 17. All participants must supply their full name and birthdates by July 10, 2015. We hope you will join us for an afternoon to network and celebrate agriculture with the College of ACES. Directions and Parking Info for Hilton Hotel. 11:15 a.m. Meet at Hilton O'Hare's Andiamo Restaurant. Lunch will be ordered off the menu and pay-as-you-go. College of ACES update to be provided. 12:30 p.m. Depart on the airport transit system for the International Terminal (Terminal T-5) where we'll meet our speaker, Niloufer Aziz, Chief Agricultural Specialist. Kim Morton, ACES Alumni District 2 Director, will host the event. For questions or assistance, please contact the University of Illinois College of ACES Alumni Association at 217-333-7744. The University of Illinois Department of Food Science and Human Nutrition invites you to join us for a reception at the IFT Annual Meeting and Food Expo in Chicago. The reception will be held on Sunday, July 12, 5:30-7:30 p.m. at the Hilton Chicago located at 720 S. Michigan Avenue. The shuttle does run to this hotel from the convention center. Registration materials are now available on the IFT website, and it is easy to purchase a ticket to the University of Illinois reception when completing registration materials. You can simply search for Illinois. If you have any questions, please contact Marla Todd at martodd@illinois.edu. We look forward to seeing you in Chicago! 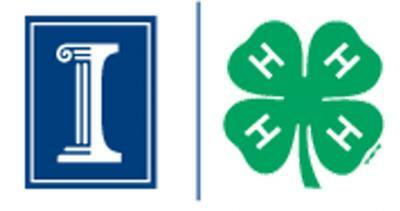 The Illinois 4-H Foundation Board of Directors hopes that all 4-H families will join them on Saturday, Aug. 15 from 4 -6 p.m. on the Director of Agriculture's lawn for the annual State Fair 4-H Family Event. Each year the event grows! Come celebrate with over 1,000 members of the extended 4-H family as we highlight the best 4-H has to offer. Come and meet the new class of Illinois Hall of Fame, the 2015 Family Spirit Award winners, our Legacy of Leadership scholars, and the Illinois 4-H Livestock scholar! Please join the Department of Ag & Bio Engineering for this inaugural golf event to honor Loren Bode in an effort by family and friends to build a scholarship fund in his name at the University of Illinois. 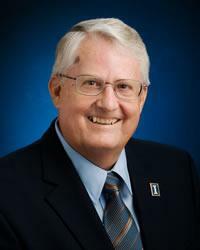 The scholarship will support students in the Agricultural and Biological Engineering Department where Loren worked for 35 years. 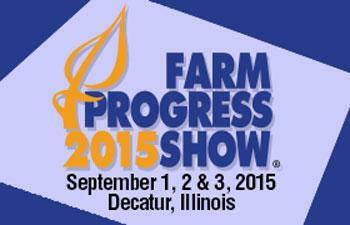 Plan early to attend the Illinois Farm Progress Show in Decatur on September 1-3, 2015! We want to help you connect with other ACES Alumni that will also be attending the show in the Illinois tent! The University of Illinois tent will be a great meeting spot for you to meet friends from college, colleagues, professors and learn more about what the University of Illinois is doing today! Stop in and say Hello or meet a friend. We would encourage you to sign up for a time slot that you will plan to stop in and network so others may want to join you in the Illinois tent at the same time! Wanting to connect with alumni from a certain decade? Sign up during these time slots each day! We can't wait to see all of the Illini pride at the Farm Progress Show 2015! Share your Illini Spirit in Joliet, IL at the Barber & Oberwortmann Horticultural Center. 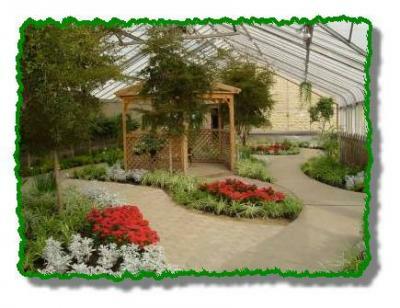 The facility is a 12,000 square foot facility located adjacent to the Bird Haven Greenhouse. You will have an opportunity to tour the green houses, enjoy dinner and a short program from the University of Illinois College of ACES. We hope you will join us for an evening to network and celebrate agriculture with the College of ACES. It's that time of year again! The University of Illinois Department of Crop Sciences is hosting the 59th annual Agronomy Day at the Crop Sciences Research and Education Center in Urbana. Field tours will begin at 7 a.m., where researchers will discuss a variety of topics including insect management, crop production, weed control, corn and soybean genetics, plant diseases, farm economics, and more. With over 1,000 visitors expected to attend, you won't want to miss this opportunity! Results of field crop insect surveys: Evidence of area-wide suppression of key pests? Can we manage resistant rootworm beetles in soybeans to protect rotated Bt corn? When should we apply nitrogen on corn? Amaranth ID: Know your enemy! Mitigating herbicide resistance: Revolution or evolution? For a full list of this year's speakers and topics, visit http://agronomyday.cropsci.illinois.edu/. Visit the Agronomy Day website or find us on Facebook for more information during the summer months! Mark your calendars for August 20th. We'll see you in the field! 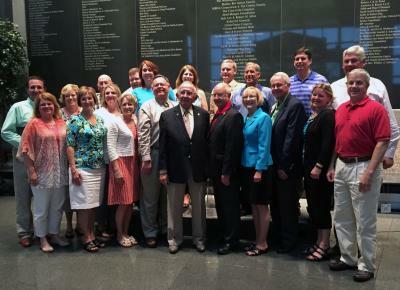 The ACES Alumni Board is seeking two directors to serve as District Directors on the ACES Alumni Board of Directors beginning in December 2015. Nominees must have received a degree from the University of Illinois at Urbana-Champaign College of Agricultural, Consumer and Environmental Sciences. Congratulations to the new members of the ACES Student Advancement Committee for 2015-16. Each of these students were selected based on an application and an interview process. They will be representing the College of ACES to prospective students, donors and alumni at many events throughout the year. Congratulations to the new members! The College of ACES honored the college award recipients at the Paul A. Funk Recognition Awards including the ACES Alumni Association Award of Merit, and College of ACES Faculty and Staff Awards on April 13, 2015 at the Pear Tree Estates in Champaign, IL. To view the award recipients, visit the Funk Awards Website. The Paul A. Funk Recognition Award is presented to faculty and academic professionals for outstanding achievement and major contributions to the betterment of agriculture, natural resources, and human systems. Funds for the awards program, which was established in June 1970, are provided by the Paul A. Funk Foundation of Bloomington, Illinois, as a memorial to the late Paul A. Funk, who attended the college as a member of the class of 1929 and devoted his life to agriculture. These awards are a true honor to celebrate the successes of alumni, faculty and staff of the College of ACES! Over 1500 ACES graduates and their families attended the ACES Tassel Turn Reception at Memorial Stadium's Colonnades Club on Sunday, May 17. The ACES Alumni Association along with the ACES administrators, faculty and staff congratulated graduates and welcomed them to the ACES Alumni Association! Students had the opportunity to have a green screen photo taken to cherish this special day, receive their first ACES Alumni t-shirt and visit the memorial stadium columns. A cake and punch reception was also available. Congratulations to the ACES Graduates! Did you miss a special graduate walk across the stage? Or want to share with family and friends? Watch the ACES Convocation Ceremonies online! Congratulations to the new ACES graduates and welcome to the College of ACES Alumni family! Be sure to share any special times in your life with the ACES Alumni Association to keep your fellow alumni updated! Newly married? New job? Promotion? New book? New baby? We hope to hear from you. Online social networking is a great tool to stay in touch with alumni and friends from the College of ACES! We want to stay connected to you! Join one of our many groups for the College of ACES, ACES Alumni Association or University of Illinois to keep up to date with current activities or to reconnect with your alma mater! Do you have an updated email address on file? Do you have an email you prefer to receive correspondence too? Did your email address recently change? We want to stay connected to you! All invitations to events will be sent via email only. Please update your email address to stay connected today! With the rising cost of postal mail, email communication is a cost effective way for the ACES Alumni Association to stay connected and provide updates, event announcements and invitations to you as our alumni. Please feel free to share your email address with us by sending it to acesalumni@illinois.edu. Looking for An Illini Network? 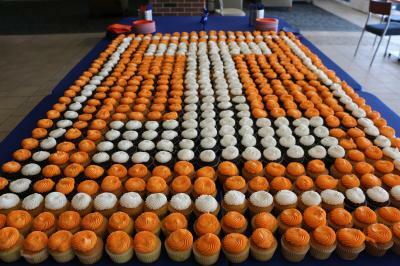 Have you joined the University of Illinois Network? Stay up to date with the University of Illinois activities, events near you or join a local Illini Club! The Illini opportunities await you! Get involved! 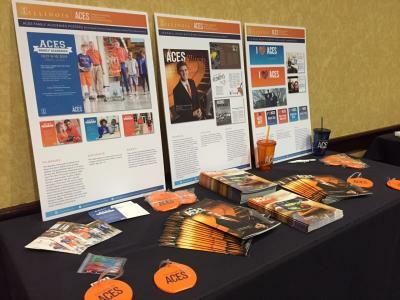 The ACES Alumni Association launched a campaign to create an endowment fund that will help us sustain our existing programs and activities as well as provide funds that give us opportunities to create and grow new points of connection for you and other alumni. We need your help to continue the tradition of making lifelong connections with all alumni who graduated from the College of ACES in the past as well as future graduates! To continue alumni efforts and expand, make a gift by contacting us at 217-333-7744. Thank you for your support! Many of our Departments in the College of ACES provide alumni newsletters online.